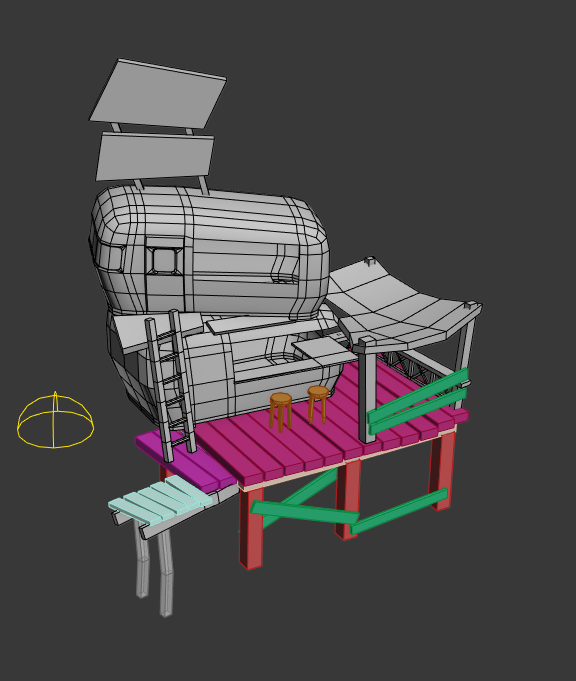 This whole week was pretty dedicated to modelling the shack, and it was a lot more of a struggle than I thought. 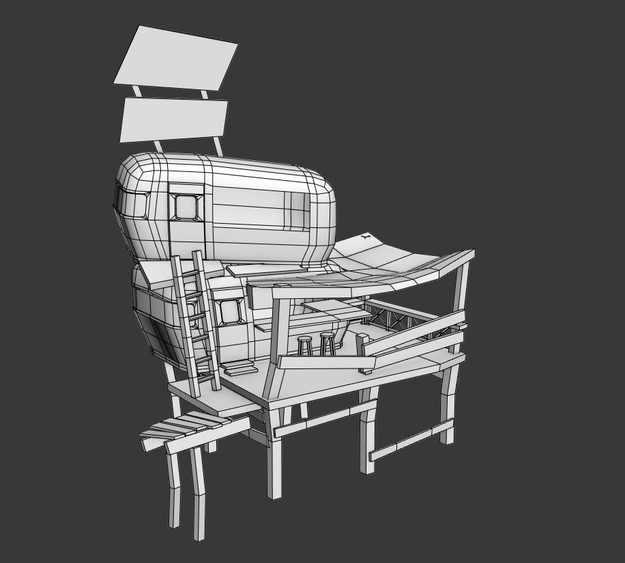 I didn't really think about the fact that I was attempting to model two vehicles as part of the shack, so most of the time was spent trying to make sure the topology was really good on those. I started by taking my kitbashed model and remodelling parts to save myself work; mainly this consisted of modelling and unwrapping sections and then duplicating it later on, I did this whenever practically possible with the plus side being I get lot more texture space to play with. I received some feedback from Stas at this stage advising me on the form and colour of the piece; he advised me to break up the silohuette more on the left side as looked too off balance, so I will add some waste pipes and air con units to break up the shapes. Another point I brought up to him was colour (an area I'm always a little unsure on) and how I didn't like any of my current colour compositions. 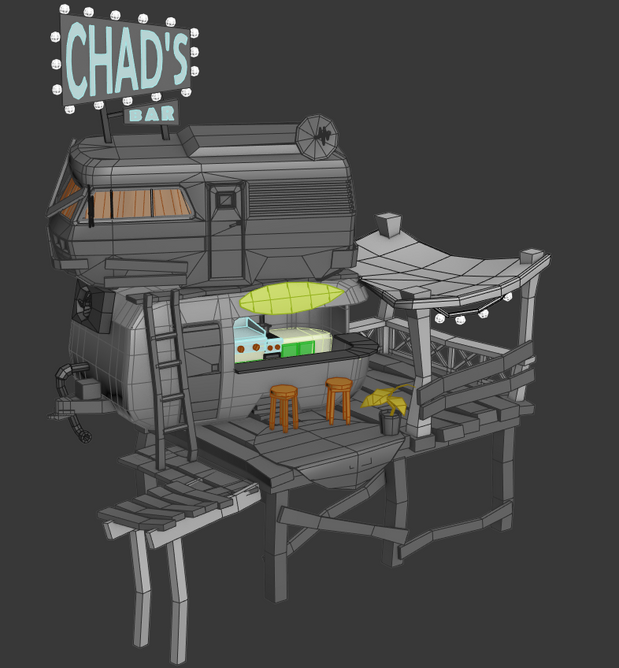 He pointed out that a design like this might be better using more muted colours, the scene with the blue sky will get picked up by the chrome of the food truck and the lighting will help create contrast under the awning. 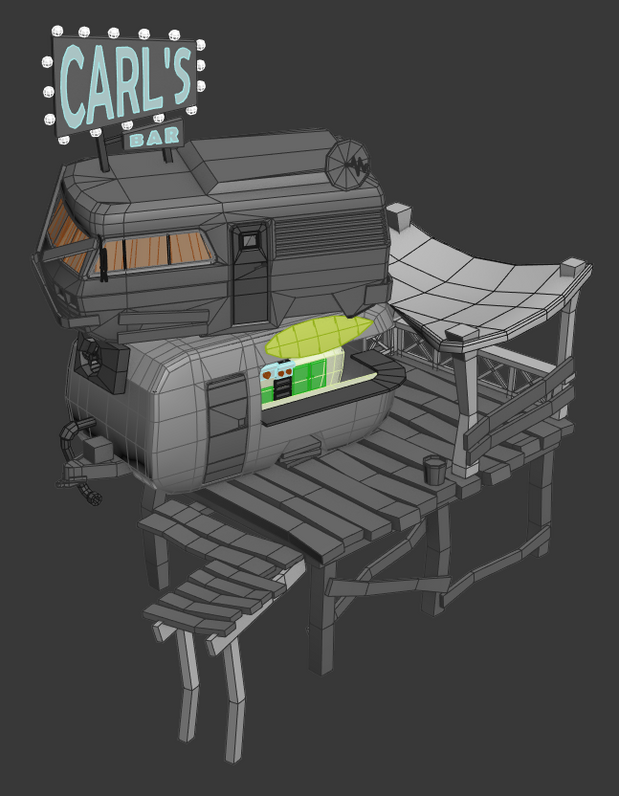 I kept this noted for when I got to the texturing stage. This was fun, the interior of the foodtruck. 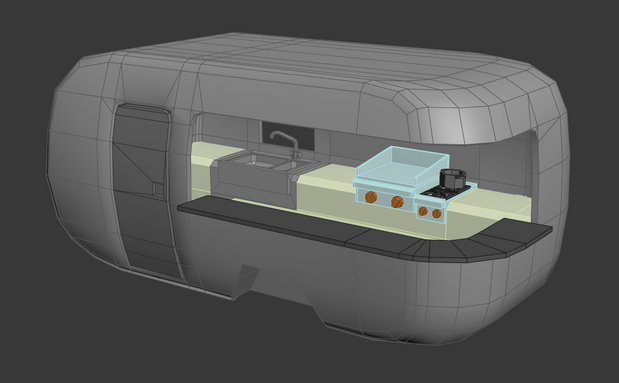 I just modelled random pieces of kitchenware from reference and exaggerated the size and shape slightly. The plan is to model a few pots and plates and then duplicate them around the interior when to flesh it out when the model is close to completion. I kept modelling parts from the concept and continuing to add detail, the next couple of screenshots just show some modelling progression. 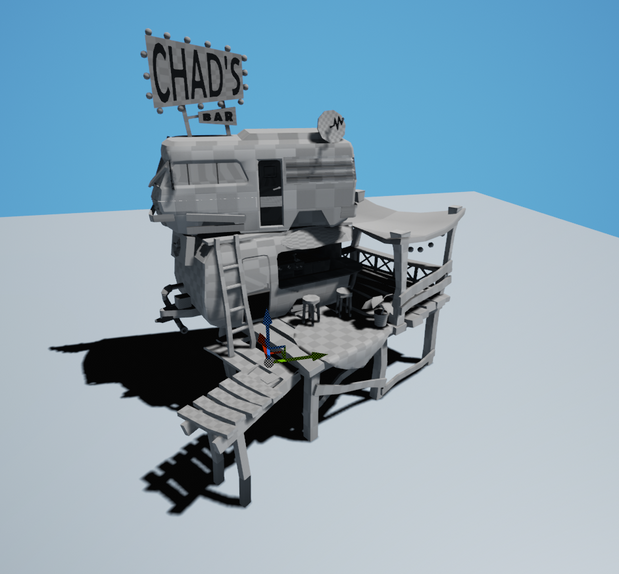 It was at this stage I tested out the model in UE4 and tried to set up a bit of basic lighting, you can see in this image that the awning does create some nice lighting variation, I can make this even better in the final image by adding a skylight to the scene to create a bit of colour in the shadows as well as point lights by the lanterns.